A Lucky Friday, the 13th! At the end of our morning game drive we encountered a Lioness stalking a group of Zebra and Wildebeest. 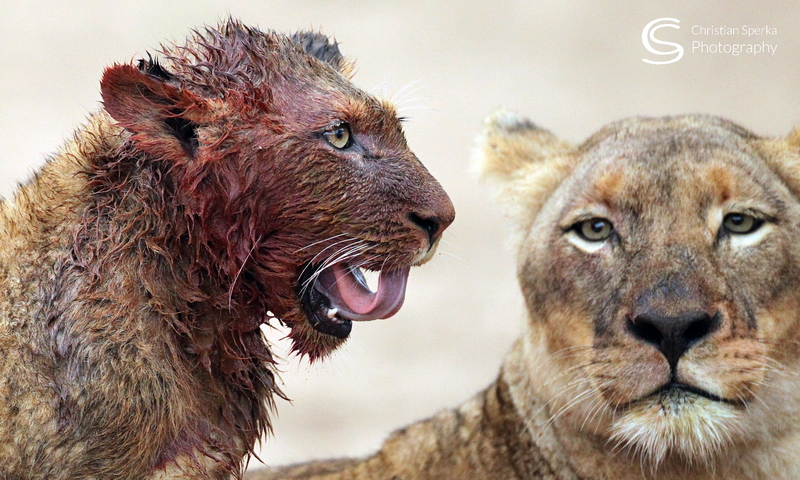 I positioned the vehicle to the left of the lioness half-way between her and her prey. She singled out the Zebra that had gotten very close to her. The Zebra saw her just before she was able to start her run. 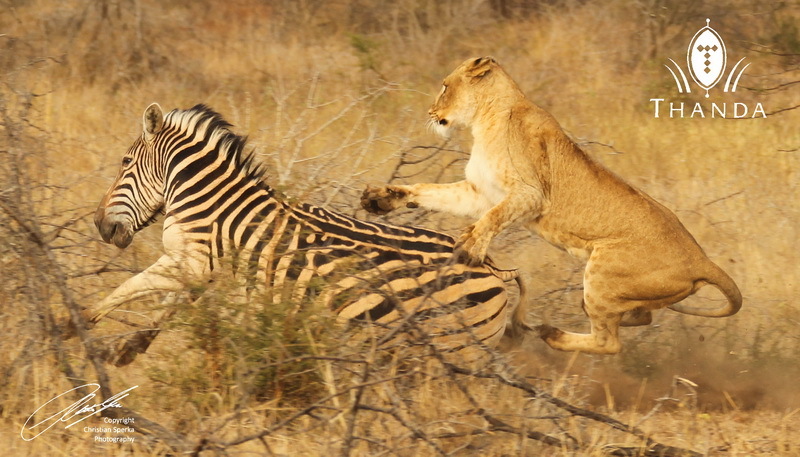 She almost got the Zebra, but in the end she had to give up and the Zebra got away. Have a look at her face – Pure Focus! For the Zebra it was a lucky Friday, the 13th, and it was for us seeing this scene! I have followed every post. I look forward to them each day. What a shot! The lower half of that lion looks as if she has cheetah in her! Fine work Christian! Fine work indeed! 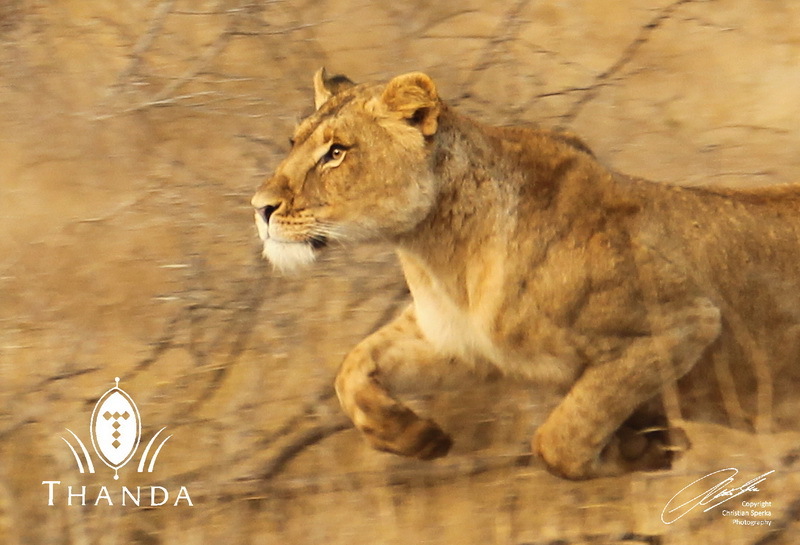 thanks for your comment – The dots in the lower half of the lion indicate that she is still a young Lioness. The spots will dissapear with age (and her nose will turn from “pinkish” to black! Awesome pictures, no doubt she’s focused. In pic2 focused directly on the kill spot.Love to see the cats with all four paws off the ground,makes for great action pic.Pic 3, 2x awesome,love the intense look on her face and the position of her paws,again awesome.Great job Christian. In terms of being chased by lions: Is that the same of a dog chasing a car? Do they try and catch up? Next PostNext One more image!